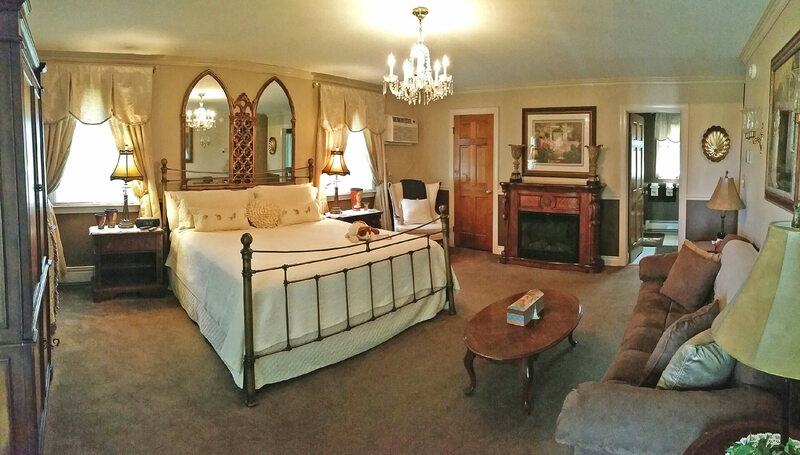 The Christina Suite is a luxurious beautifully appointed second floor suite with a King size brass bed. Private balcony with water view. Single whirlpool with a tub/shower combination. Flat screen TV with Netflix. In-room refrigerator. Enjoy the glow of the non-wood burning fireplace both summer and winter!